Chernihiv Collegium considered the jewel of Baroque architecture. It is the first institution of higher education on the Left Bank of Ukraine. 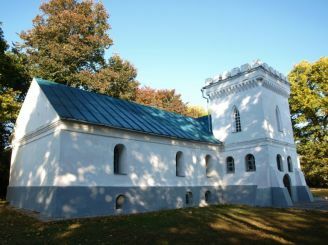 The building was erected in 1700 at the expense of funds allocated by Ivan Mazepa. Institution founded by Archbishop John Slavic and Latin School. 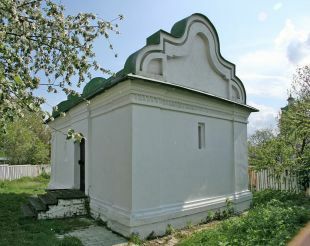 First Slavic schools were located in the Monastery of Sts. Later, the collegium has been allocated the bulk of the building. Within 2 years from the western side of the housing bell tower was built in two tiers, the lower tier was for bells, and at the top - the Church of St. John the Divine. On the east side of the building it was attached to the 2nd floor, which houses the refectory and the Church of All Saints. First opened in the Collegium 4 class, which worked only 2 teachers, and later there were already three. They taught children grammar, syntax in Latin and Polish, and even poetics and rhetoric. Collegium was similar to the Kiev Theological Academy, where children come as the clergy and the Cossacks, noblemen and commoners. I studied here in Old Church Slavonic, Latin and Polish. In 1716, teachers of the collegium was translated into Slavic history of Rome Livy. In 1749 in the refectory opened the Sorcerer class. Children are taught in German, French and Greek, as well as geometry, arithmetic and plane geometry. In the period 1784-1786 Collegium was transformed into a seminary, which opened at the Museum of church property. In the 19th century in connection with the restructuring of the exterior of the building was destroyed, the restoration of the building was occupied in the middle of the 20th century. 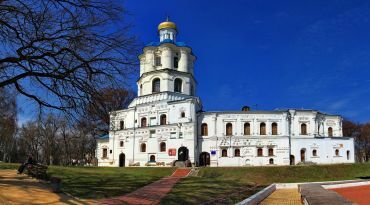 Currently Chernihiv Collegium is part of the reserve "Chernigov ancient". On the streets of the Transfiguration near Collegium, находятся Спасо-Преображенский и Борисоглебский соборы, Вал , House regimental office and the Governor`s House. 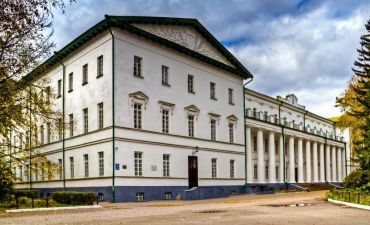 Museum of Tarnow is located on Gorky Street.